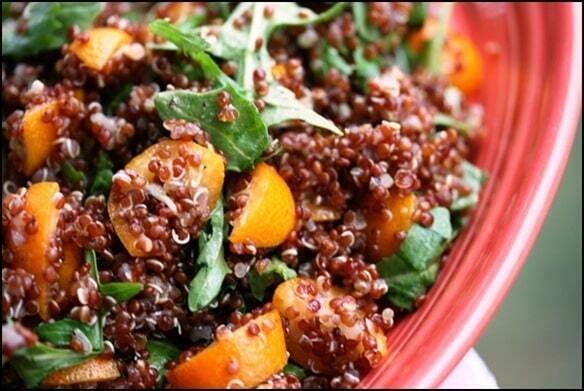 This Zesty Kumquat Quinoa Salad is delicious — bright and flavorful, and super nutritious, too. Have it as an easy side dish or light lunch or dinner, or add in a can of cannellini beans for a more complete meal. Delicious either way! In a medium sized pan, heat the veggie broth and water to a boil. Reduce to a simmer and add the quinoa. Cooked covered, stirring occasionally, for 15 minutes. 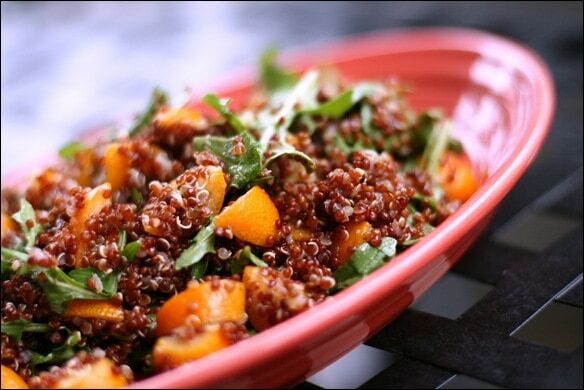 Transfer cooked quinoa to a large bowl and add in remaining ingredients. Serve warm or cold. Enjoy! Click here for my original post, which includes all sorts of kumquat nutritional information and fun facts! I just have tried your recipe for this salad, we used Couscous instead of Quinoa, and it was absolutely lovely!! :) ThankÂ´s for this great recipe!